A black metal band birthed in South Dakota, Woman Is The Earth first caught our eye when Austin Lunn of Panopticon tapped them to play his Ostarablot Hammerheart Festival – and we haven’t been able to stop jamming them ever since. 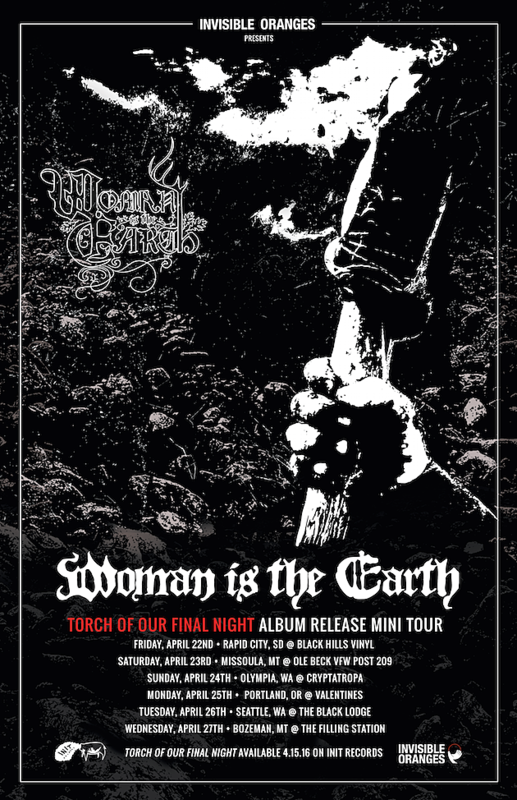 With a new record, Torch Of Our Final Night, coming out on April 15, we’re excited to be presenting their upcoming mini tour. Hitting key cities in the Pacific Northwest and beyond, head below to check out their upcoming dates and the new track “Brothers of Black Smoke” which will be featured on the new LP.